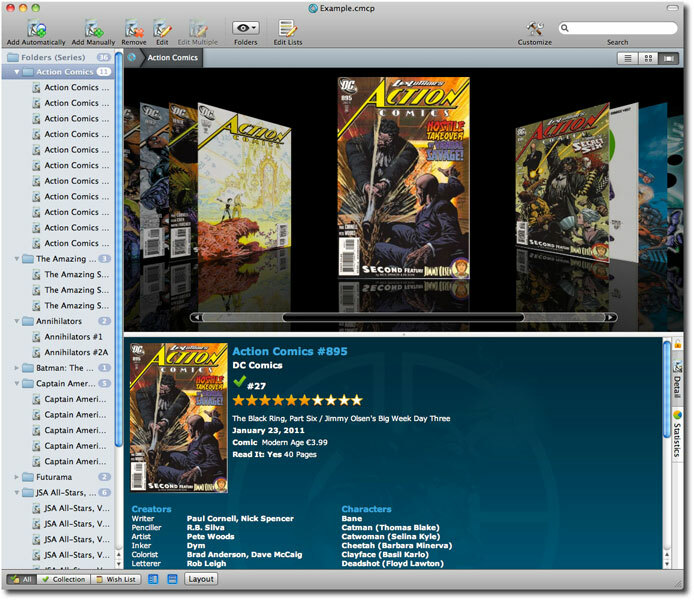 Catalog your comics automatically, no typing. Just type the series name and select the issues you own to download all data from our online Collectorz.com Comic Database, including publisher, publication date, creators, character, genre and the cover image. Browse your collection by series, publisher, artist, etc... or use the Image View to view your cover images. Sort and group on any field. Export your list to your iPhone, Android or iPad (app sold separately) and take it with you to the store. A free trial edition of the program is available, which is limited to 100 comics. If you decide you like it, you can buy a license key which can be used to unlock the program and remove the 100 comic limit. Ordering is risk-free because of our 90-day money back guarantee.